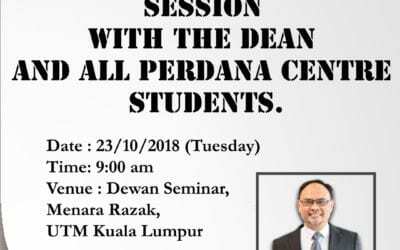 On 24 November 2018, a UTM senior lecturer Ts. 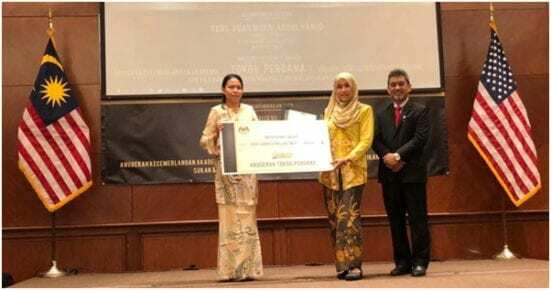 Dr. Rozzeta Dolah CEng has been awarded as Tokoh Perdana 2018 by Education Malaysia in the United States of America. The award is given during the Perdana Scholar Awards (PSA 2018) event at Embassy of Malaysia Washington D.C.. PSA 2018 is an event which aims to identify and award Malaysian who have excelled in their: Academic, Leadership, Sports/ Inventions/ Research and best Malaysian Student Association. 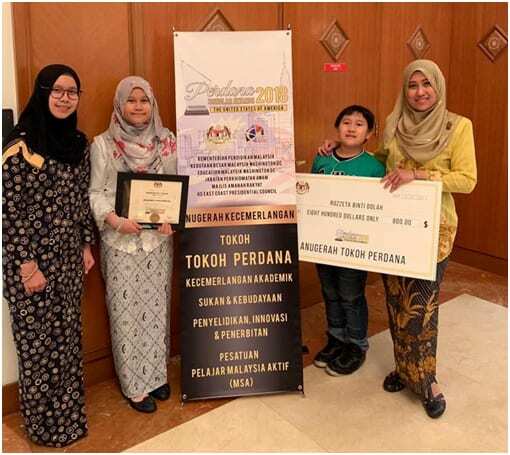 There are five (5) awards, with Tokoh Perdana as the primary award, covering areas such as academic, leadership, sports, inventions / research and best Malaysian Student Association (MSA). 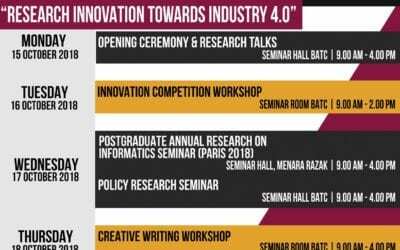 The PSA 2018 is organized by Education Malaysia USA and the Embassy of Malaysia, in collaboration with JPA and MARA. Ts. Dr. Rozzeta Dolah CEng, her interest is in renewable energy for biomass conversion into biofuels, besides quality engineering of Taguchi experimental design, Design of Experiment (DOE) and optimization. She involved in designing and optimization of a second-generation pyrolysis reactor of bio fuel conversion from oil palm empty fruit bunch. As a postdoctoral fellow at Prof. Rohit Karnik’s Lab of Microfluidics and Nanofluidics Research Laboratory, in MIT Department of Mechanical Engineering, and having the experience in robust measurement and metrology for Ph.D at Meiji University, Tokyo, Japan; the research has enabled her to develop skills in robust engineering method for nanotechnology. Dr Rozzeta, is also the President for the MIT Postdoctoral Association (MIT PDA) , representing 1600 postdoctoral trainees spread across every school and departments at MIT. 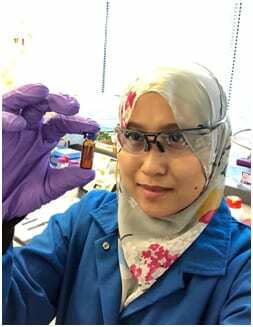 She becomes the first Malaysian to hold this position in MIT PDA history https://news.utm.my/2018/09/universiti-teknologi-malaysia-senior-lecturer-becomes-malaysias-first-president-of-mit-postdoctoral-association/. The criteria she is chosen was mainly due to the fact that she is a woman in engineering and science field with exceptional leadership besides competent in research and studies. The criteria has considered her extra hard work during her postdoctoral study at MIT by promoting and carry the ‘flag’ of UTM and Malaysia irrespective who the government is. She made several public short courses inside and outside MIT to seek opportunities by her own initiative to sharpen her professional skills. Recent initiative by her is initiating the installation of Minitab Inc. license at MIT which caught the attention of global Minitab providers. Ts. Dr. Rozzeta Dolah CEng together with her three children during the Tokoh Perdana award ceremony at Malaysia Embassy Washington D.C.
H er research consists of three main parts: (1) The optimization and design of pyrolysis reactor; (2) the study of literature, analysis, and evaluation of biofuel source from biomass; and (3) Water-oil based extraction method for bio oil’s improvement into biofuels. Main feedstock, palm oil empty fruit bunch (EFB) was converted into bio oil (bio oil) using 300L thermochemical pyrolysis reactor. A second step reaction is the biomass into bio oil and followed by an upgrade method for converting bio-oil into jet fuel or aviation kerosine oil. The results and composition of pyrolysis oil depend on the raw materials of biomass, catalyst, and other reactor operation parameters. The effect of variables on bio oil yields is optimized using a robust parameter design through Taguchi Method and other optimization methods. Apart from reactor optimization, the quality of pyrolysis oil is improved. The use of direct bio oil is limited because the physical and chemical properties are different from conventional petroleum fossil fuels (diesel, gasoline, and kerosene). Thus, upgrading bio oil is necessary to improve the bio-physicochemical properties of bio oil before it can be used in transportation, heating, and other applications. Together with her supervisor, Prof. Rohit Karnik from MIT Dept. of Mechanical Enginering working on the most economical and feasible method to upgrade the pyrolysis oil. Water-based extraction using oil, water or solvent extraction is one of the methods to upgrade and improve the quality of bio-oil into biofuels. The extraction of certain compounds in bio oil allow it to be used as another chemical and for the purpose of fuel volume increment. Studying the solubility of the solution by adding water and organic solvents (kerosene, octane), and sodium hydroxide alkaline solution as acid buffer are the alternatives to solve the drawbacks of bio oil properties. The phases formed after extraction are aqueous and inaqueous phases. Acetic acid and phenolic compounds are extracted in aqueous and organic phase. Polar chemicals, such as acetic acid, are not divided into organic solvents. Acetic acid in the water phase after extraction is beneficial for the application of microbial-electrolysis to produce hydrogen as a source of energy in subsequent bio-oil hydrodeoxygenation. Adding sodium hydroxide has adjusted the bio-oil pH, The oxygenated compounds with low molecular weight are extracted such as phenols, acids, ketones, alkenes, and esters thus results in lower oxygen content in biofuels to provide high efficiency in transportation engine. High water content in bio oil is also criticial to be reduced to increase the heating value as less heat of combustion leads to difficult ignition for transportation. Recent challenges and potential biomass as a source of biofuels are discussed through detailed studies using EFB and other feedstocks in Dr. Rozzeta’s research.